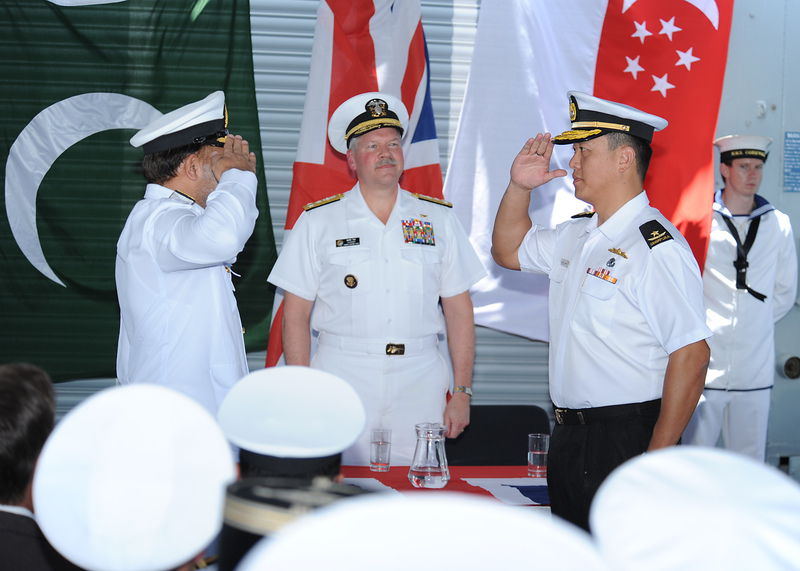 ﻿Republic of Singapore Navy Rear Adm. Harris Chan Weng Yip relieved Pakistani Navy Commodore Abdul Aleem as Commander, Combined Task Force (CTF)151 during a change of command ceremony on board HMS Cornwall (F 99), held at the port facility, Djibouti Mar. 31. 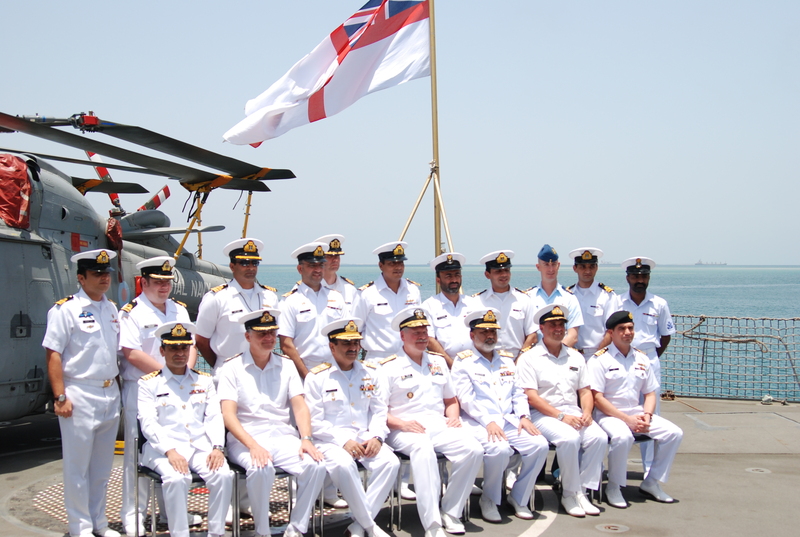 The ceremony concluded the Pakistan Navy’s first command of CTF 151, a multi-national task force established in 2009 in order to deter, disrupt and suppress piracy, protect maritime vessels of any nationality and secure freedom of navigation for the benefit of all. CTF 151’s area of operation encompasses an area of some 1.1 million square miles in the Gulf of Aden and Somali Basin. Commodore Aleem said, “This region is of major importance to international trade and the world economy, and therefore the problem of piracy has particular potency. During my time in command the ships, aircraft and people assigned to me have scored some significant victories through the disruption of suspected acts of piracy, the interception of individuals believed to be engaging in piracy and restoring the liberty of hostages by releasing them from their pirate captors. Fox added that he looked forward to working with Harris Chan in the Coalition. CTF 151 is one of three task forces operated by Combined Maritime Forces (CMF), a 25-nation coalition based in Bahrain. CMF is a multinational force which includes Republic of Korea, Turkey, Singapore, UK and the US. This is the second time the Republic of Singapore has led CTF151.